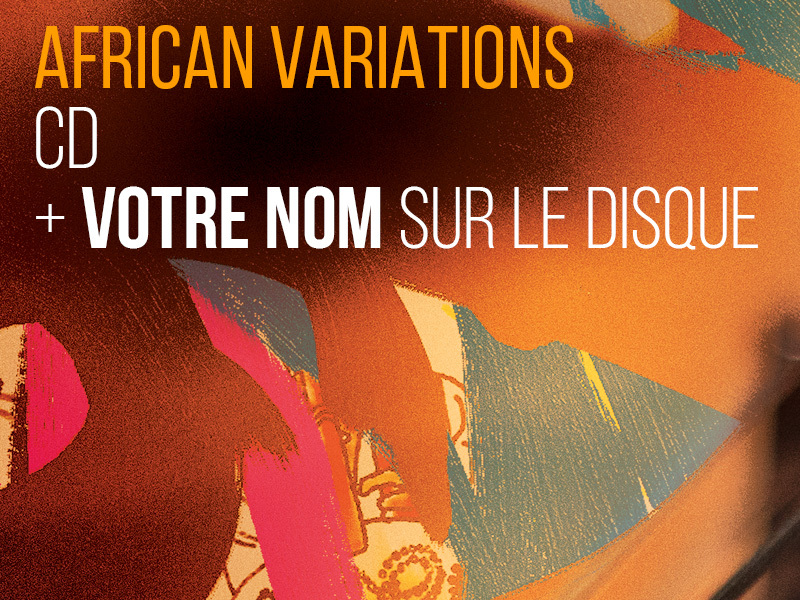 "African Variations" where acoustic jazz meets African Music.A smooth record with guitar, kora, flute & cello. 200% !! Awesome !! Thanks to all the contributors, keep up with the support ! 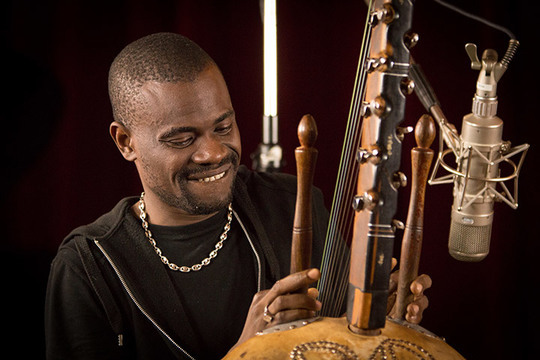 Here is a video where Cherif presents his instruments, the kora, this 21 string african harp. 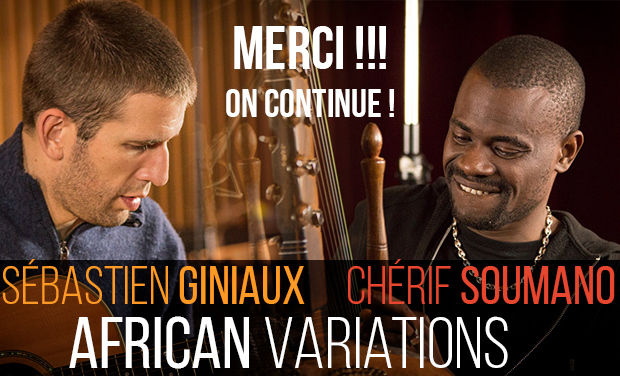 After a first collaboration on « Mélodie des Choses » (2012), Sébastien Giniaux (acoustic guitar, cello) and Chérif Soumano (kora) gather again as a duet this time on African Variations for an intimate dialogue between jazz and African Music. 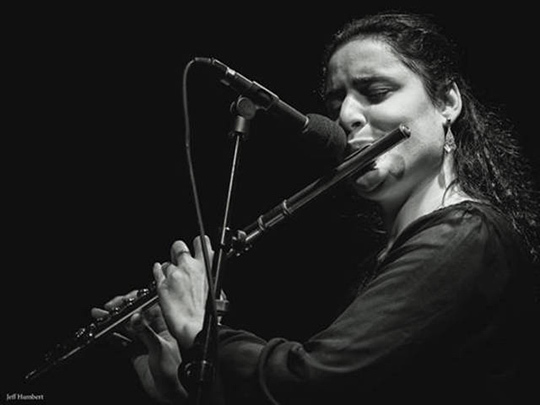 They're joined by talended French-Syrian flutist Naïssam Jalal on two tracks. 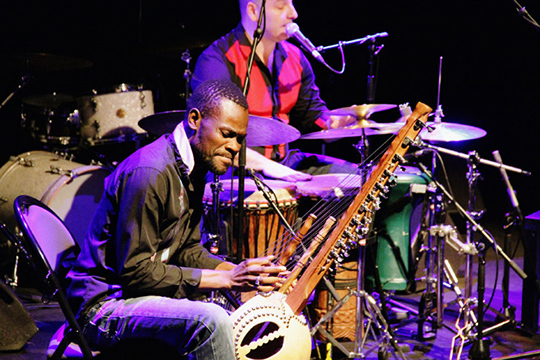 Sébastien Giniaux and Cherif Soumano met 10 years ago in Bamako, Mali. As talented and skilfuls sidemen, open to broad musical encouters, they each found their way alongside top artists for years. 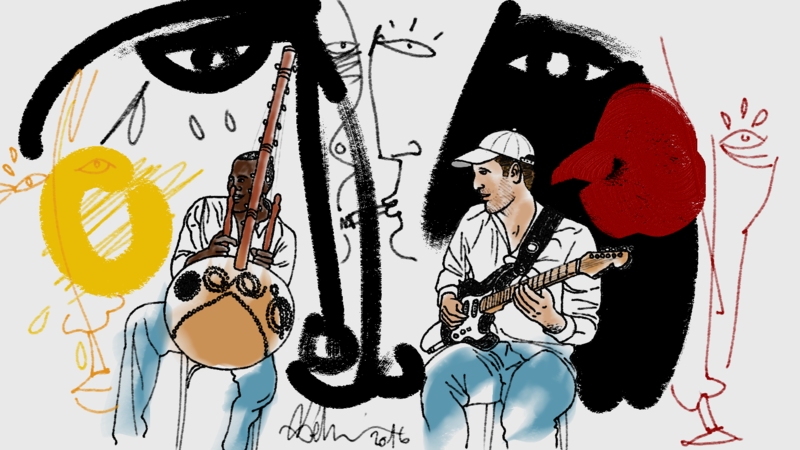 Cherif Soumano played with the likes of Dee Dee Bridgewater, Tiken Jah Fakoly, Roberto Fonseca and Marcus Miller. 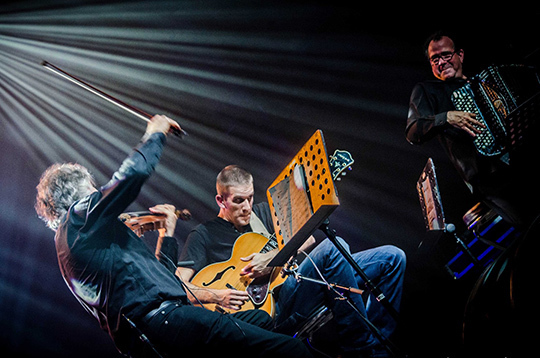 Sébastien Giniaux played with Didier Lockwood, Biréli Lagrène or the Taraf de Haidouks, while composing and arranging for Téofilo Chantre ou Norig. 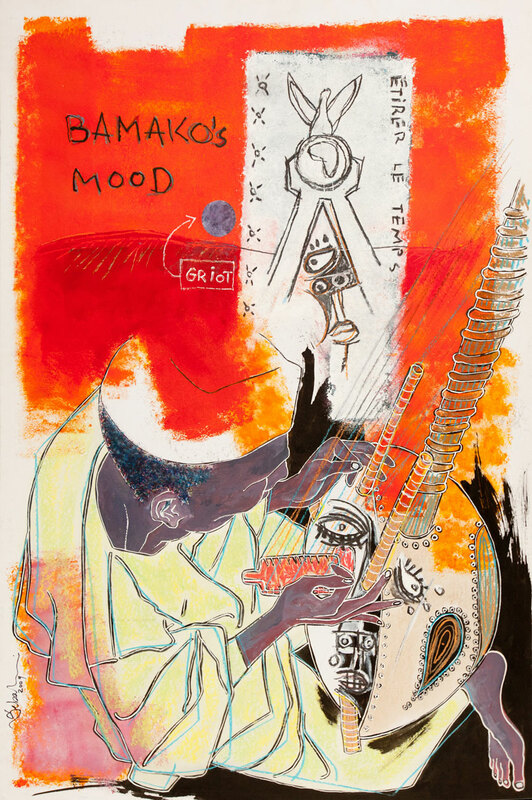 Then, Sebastien Giniaux naturally invited Sharif on his album "Melodie des Choses" released in 2012 (http://www.melodiedeschoses.com) for two tracks, already mixing jazz improvisation and African music : "Bamako's mood" and "Alkoholowa Nuda". After this first successful collaboration, the idea came to do a record together. 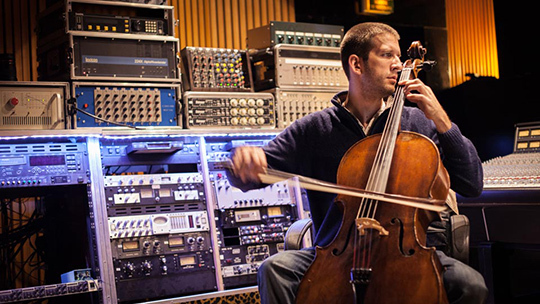 Sébastien on the acoustic guitar and cello and Chérif with the Kora. They also invited a talented flutist, the French Syrian Naïssam Jalal. 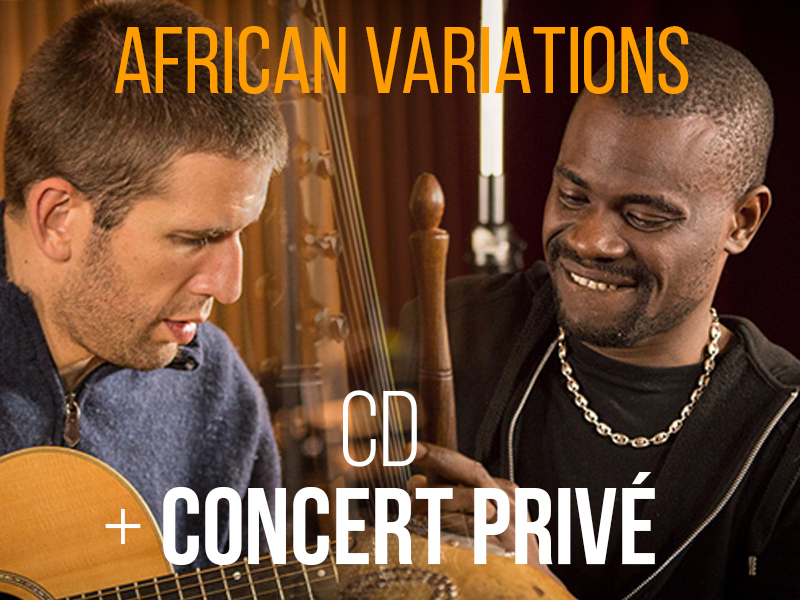 "African Variations" has 10 tracks: 6 acoustic guitar / kora duets, 2 cello / kora duets and 2 guitar / kora / flute pieces. 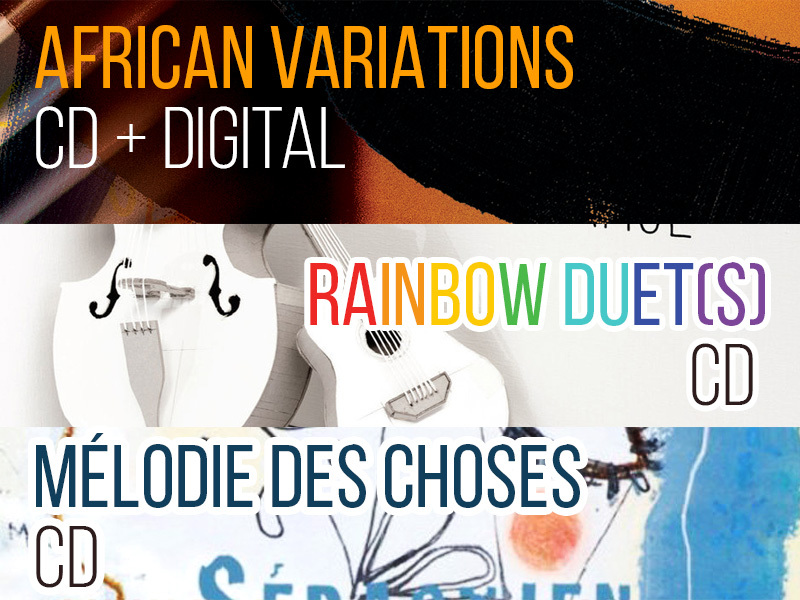 There are a few traditional West Africa, original tunes by Cherif Soumano and Sébastien Giniaux, as well as unexpected covers : "A day in Paradise" by Phil Collins and "A thousand years" of Sting. 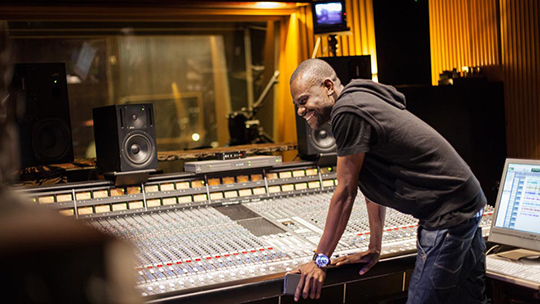 The recording took place at Midilive Studios (Studio A) with André Baille Barrelle as producer and sound engineer. We reached our first goal in 24h!! That's just amazing !! Keep supporting us ! We have a few great things under our belt to go with the album release! 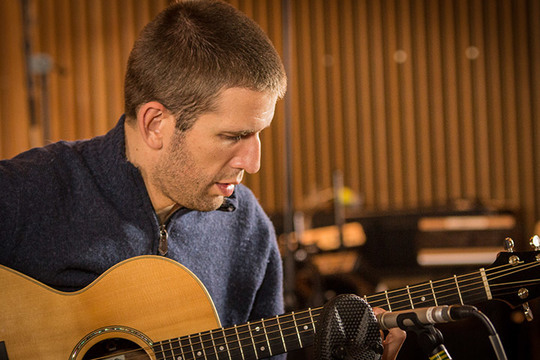 The album is already recorded, mixed, mastered, that's the good news! Now we need to manufacture it and plan for distribution so it reaches the most people possible! First goal : 3000 Euro. OK !! Reached on march 1st, thank you!! - Pay the shipping fees to all KissKissBankers who have elected to receive the disc in return for their contribution. Second goal :4500 Euro. OK !! Reached on march 3rd, thank you!! Third goal : 200% : OK !! Reached on march 16th thank you!! 1 TRACK / DIGITAL - A big thank you ! 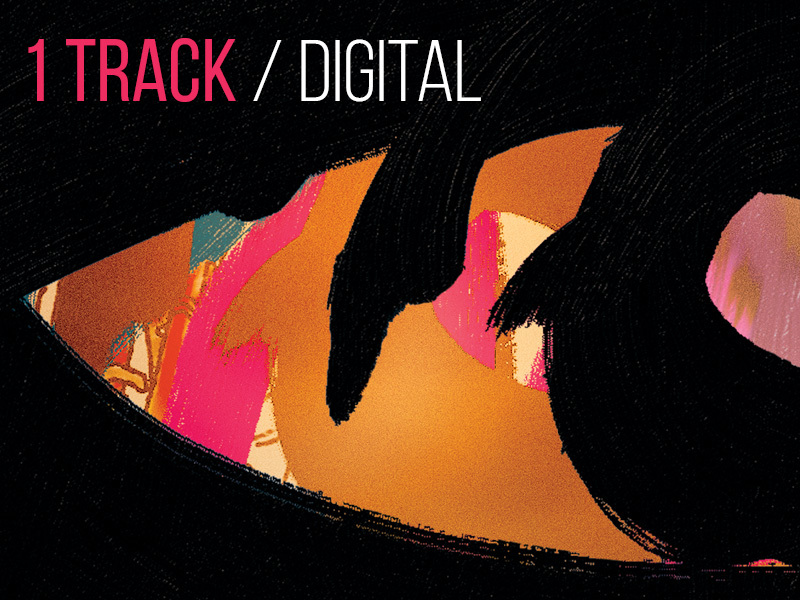 A digital track to download two weeks prior to release + your name on the facebook page. DIGITAL ALBUM - A big thank you! 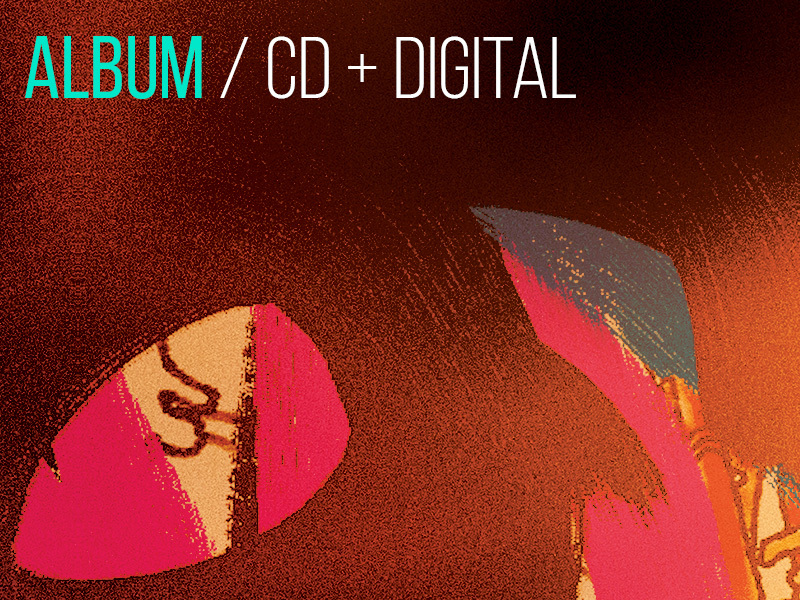 + the digital edition of the album two weeks prior to release + your name on the facebook page. CD ALBUM - A big thank you! 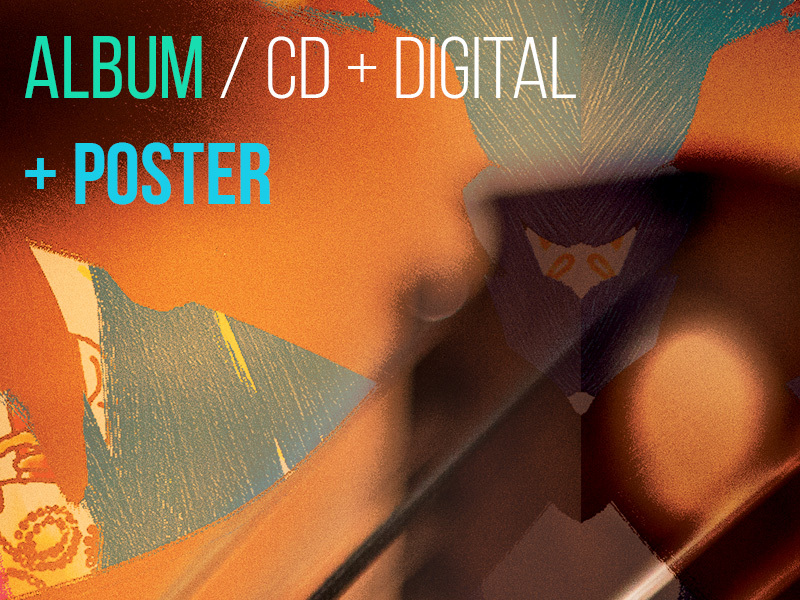 + you'll receive the CD at your place (shipping included) + your name on the facebook page. 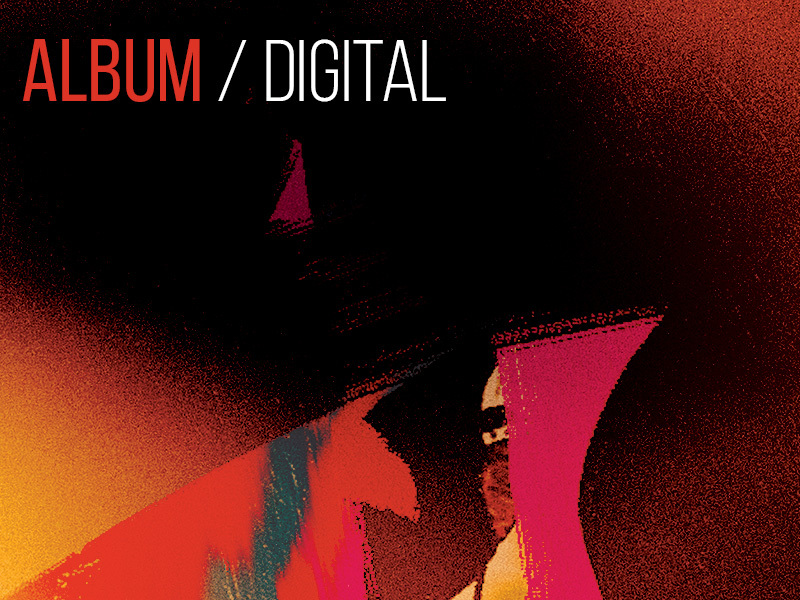 CD ALBUM + DIGITAL A big thank you + you'll receive the CD at your place (shipping included) + the digital edition of the album two weeks prior to release + your name on the facebook page. 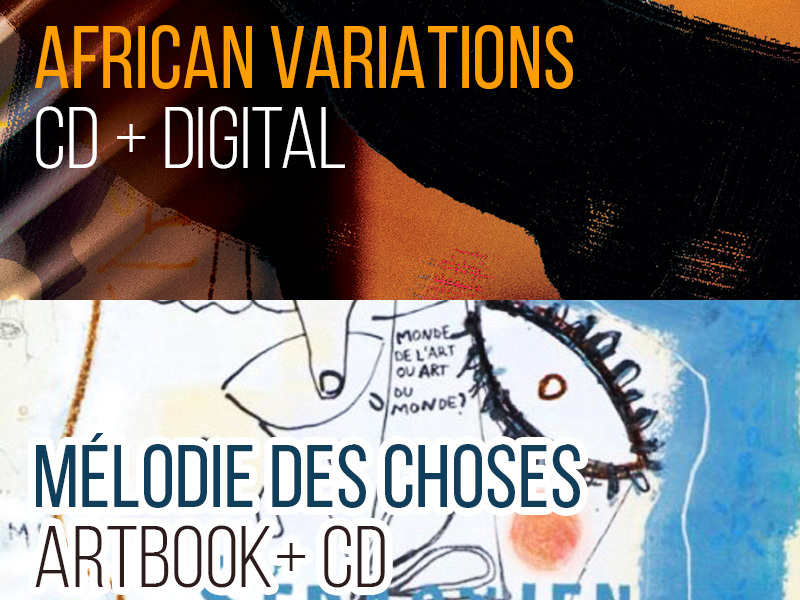 CD ALBUM + DIGITAL + POSTER - A big thank you! + you'll receive the CD at your place (shipping included) + the Digital Edition two weeks prior to release + a Poster + your name on the facebook page. 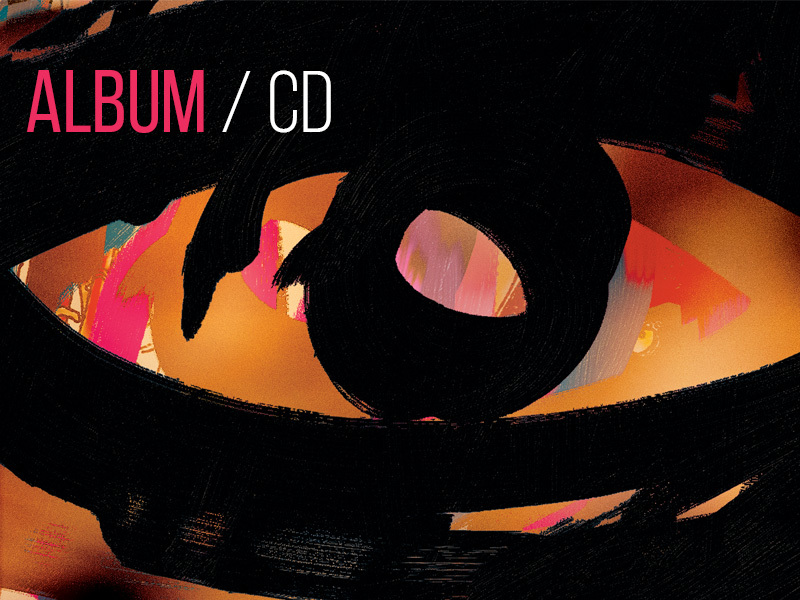 CD ALBUM + YOUR NAME ON THE RECORD !! A big thank you! + you'll receive the CD at your place (shipping included) + your name will be printed on the actual album + your name on the facebook page. CD + PRIVATE CONCERT !! 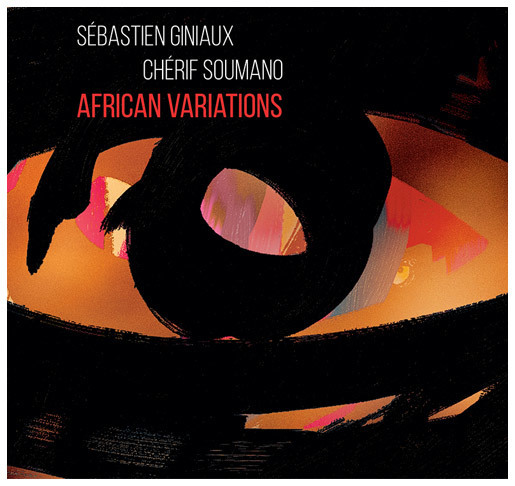 - Sébastien Giniaux & Chérif Soumano in your living room for you and your friends only!! 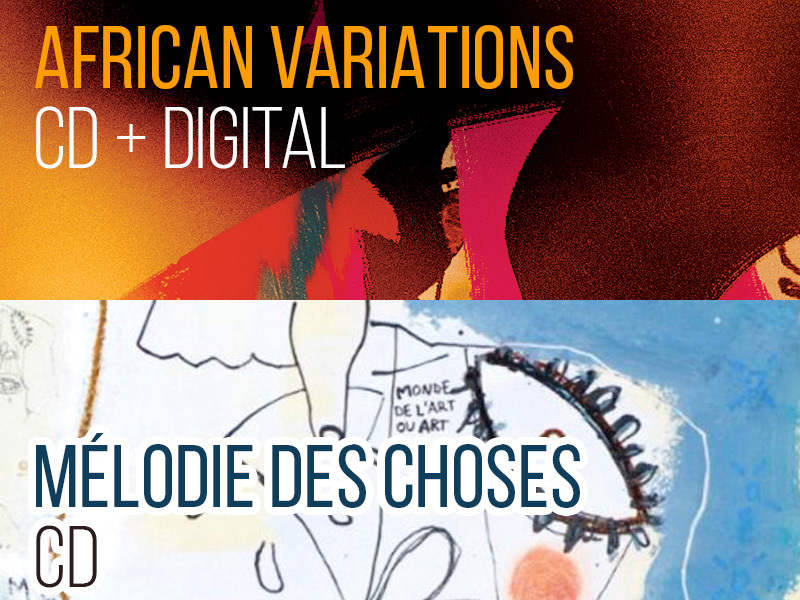 A very special event where jazz meets african music at your home. Without transportation / accommodation.